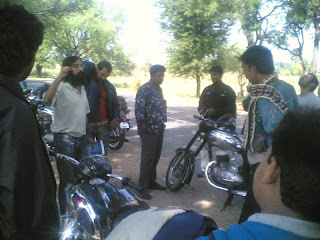 After my long hibernation with Roaring Riders club (a local JAWA/Yezdi biker’s club), I participated one of the meetings organized by the club for discussing a long drive. 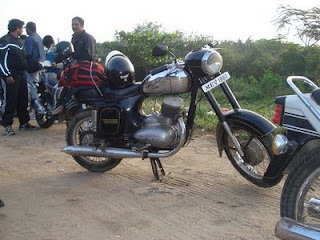 Since the JAWA and Yezdi bikes were no more manufactured in India, now these bikes are part of classic bike category. Also they are unique in many ways as their kicker and gear lever are same and pressing the gearlever further enables the auto clutch so we can drive the bike even without the clutch lever functioning. These bikes were above 250cc and two stocks with single cylinder specification, the cylinders were come without reed value unlike the later 2 stroke models. The meeting was fine as we had it in the beach with like minded guys participated with their beauties and we discussed a lot about the bikes. During the meeting we decided that we will drive our bikes to Jawadhu Hills (hope many of you have seen my previous posts about this place). The plan was set and the meeting got over, I took the charge for booking the accommodation and food. 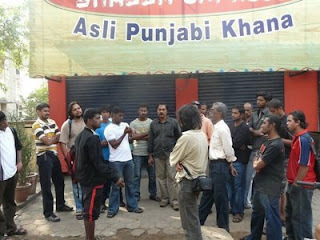 As planned we started on the planned 20th December to Jawadhu with 27 people and 21 bikes geared up early in the morning at Tambaran the suburban of Chennai city. The trip was really enjoyable until 11:30am that day; we reached the downhill side of Jawadhu a place called Polur in Tiruvannamalai Dt. The route we took was from Tambaram to Uttiramerur to Vandavasi to Chetpet to Devigapuram to Polur. We crossed this little distance nearly 180kms in 5 hours as the group was slow driving due to the old nature of the vehicles. When we about the hit Polur about 200meters before the town, it was actually a 1 kilo meter straight line road. We found a moped rider driving ahead of us on a wrong direction on the shoulders of country road. We were watching him from long distance hence the speeds of our bikes were gone below 50-60kms. When none of us expected only before 4-5 foot before us the moped rider all of sudden started entering into our path without any signal to get on to his right direction. Since the distance between us and him was almost nothing and no time for even thinking of break one of our fellow Yezdi biker crashed the villager to fatal. It was unexpected and accident caused the moped driver loss of life. 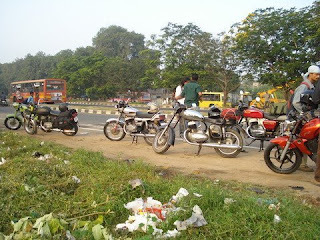 Though the entire fault was with the moped driver none of us could take it easy as it really affected our entire mind. We took him to hospitals and the doctors declared as dead. So as to complete the legal formalities our guys spilt into two groups, one group to go to the police station and complete the legal formalities and other group to lead towards Chennai cancelling the entire program. 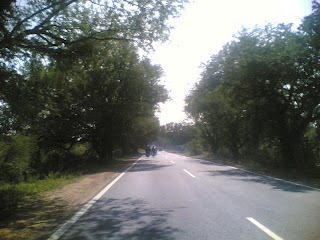 I took leading position for the 2nd group and lead the team to Chennai via. 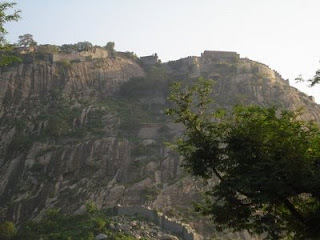 Tiruvannamalai and Gingee. 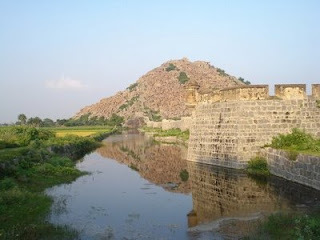 Guys traveled with me didn't even had time or mood to even look at the beautiful monument on our way back at Gingee due to the same incident early in that day. The drive was so pathetic as the accident came again and again in our mind like virtual reality. So we opted to drive even slower than the normal speed, since it was 240+kms driving we reached back at home around 11:30PM in the night. Finally my first ever JAWA club trip ended with a sad note. We pray for the villager's soul to Rest In Eternal Peace. 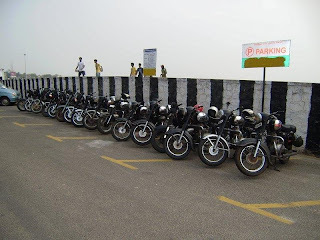 There are several rider groups in Chennai for various bikes.